This review is also posted at The Bawdy Book Blog.Holy smoking hot romance, Batman! After the back and forth of Brianna and Thomas in scorchin’ hot Sin City (and ooh oooh the sins indeed! ), I think I need a dip in the pool at the Wynn! Who’s gonna treat me to a trip? !Thomas has gone to Vegas for a business trip for his marketing company when he literally saves the life of a woman about to walk into traffic because she has her nose in her cell phone. Even though he’s busy feeling sorry for himself, sparks fly when the two strangers are pressed against each other on the sidewalk…Brianna is a powerhouse of a woman. She’s not struggling anywhere except in her love life and when she meets Thomas at the restaurant to talk business, it’s evident that both of them feel this kind of attraction to each other that is instantaneous and…explosive, hehehe.I am not your typical romance reader. Usually the insta-love is a complete turn-off. But while I was at RT in May, someone said during a panel, that if it can happen even once, it is totally possible. This made me realize that maybe I’m not giving romances the fair shake they deserve. And along came Love Me by Diane Alberts.The main characters are dynamite together, there was just something about them that clicked right with me and I fell in love with them and wanted them to end up together. I enjoyed the internal struggle each of them had to face before they could move on and even think about being with one another. 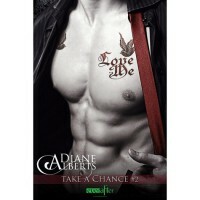 Diane Alberts is fabulous at tormenting her characters a little before she gives her readers what they want.I did not know this was part of a series (because I didn’t do my research like usual, duh! ), so only after researching for the blog post info did I realize this was a #2. But rest assured, this can be read as a standalone, because I wasn’t lost at all. I love when that happens!Now I need #1! Who do I have to bribe to get it?I received this ARC in exchange of an honest review.